Though she was felled by the blade of Sargeras, the Life-Binder´s essence escaped the grasp of the Dark Titan. 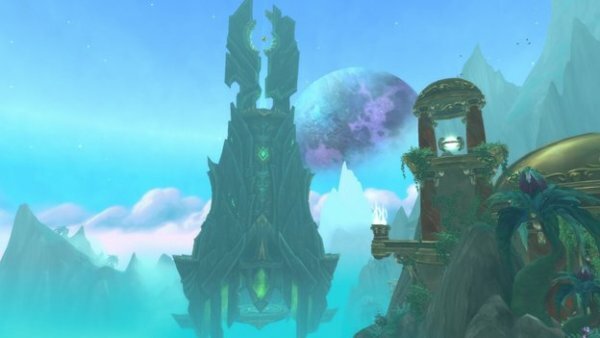 After millennia spent hiding in Isolation, Eonar´s sanctuary has been discovered by the Legion. Should her soul fall into the enemy´s hands, Eonar´s powers of nature and growth will be prevented to make the Burning Crusade unstoppable. In this fight, we must defend Eonar until she gets enough energy to blast down a hostile spaceship. This hostile space ship shoots at the raid and also summons adds on the big platform. There are 3 different zones the adds come from (Lower, Middle and Top Zone). In each zone, a big add may come out as well. The Big add will shoot at Eonar from where he is summoned. This add attacks players when they are close. Small adds runs (also bats) to Eonar and do not attack players from 3 different zones. Sometimes a special add comes out with the small add that must be prioritized nuked. Eonar gets energy when adds die. Every time Eonar reaches 100% energy she will do the blast and this blast kills ALL adds on the platform and also does 25% damage on the spaceship. You need to kill adds so that Eonar reaches 100% Energy 4 times then you have completed the encounter. The add spawn from the different zones are more or less fixed in a certain pattern. The main thing is to know the start of the pattern. After that, there is a special tactic to handle the adds without knowing the pattern. This is a very big area with many platforms. 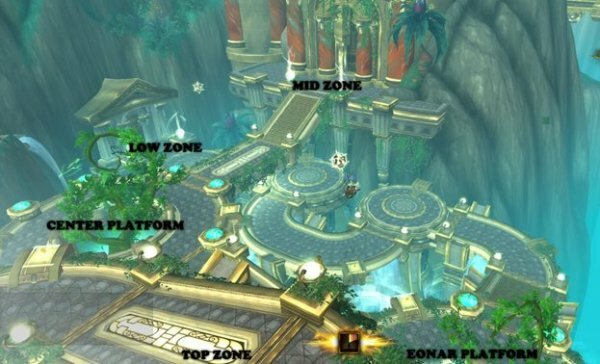 There are 3 areas in which adds will spawn: Top zone, Mid zone and Lower zone (see map). The Mid zone the entrance to this area. The arrows indicate the root they will take to Eonar. 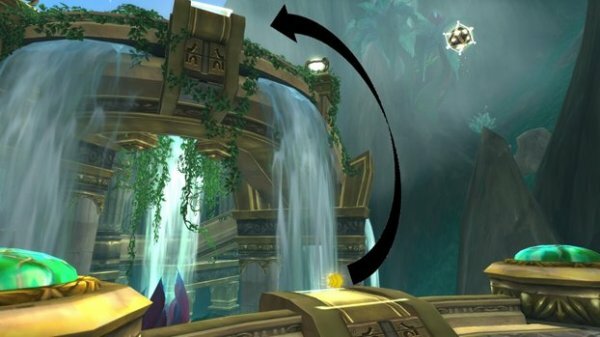 The adds move in a certain path to get to Eonar and attack her. Only the Big add stands still and shoots cannons at her. In this area, you can move up and down to different platforms from certain positions. These positions are marked with arrows. Remember: You cannot fly up to the Top zone. You must use the arrow to jump up. Remember: The best and fastest way to get from Top zone to another zone is to fly. Group 1 – Consists of 1 healer and low amount of dps. Choose single target players with high dps. Group 2 consist of everyone else- Choose AoE dps and players that can stun and slow adds. Tank 1 will stand in center platform. Tank 1 has the lower zone duty. Always tank the big add on lower zone every time it spawns. Tank one will share the middle zone duty with tank 2. Tank 2 will stand on the Top zone. Tank 2 has the top zone duty. Always tank the big add on top zone every time it spawns. 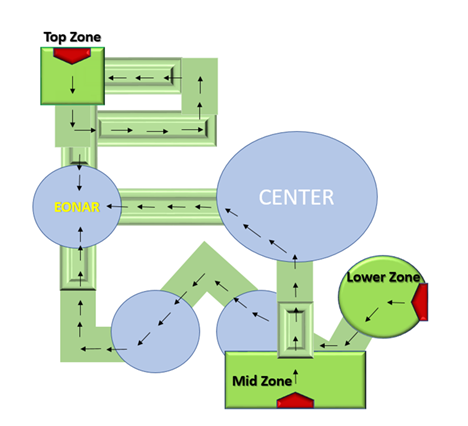 Tank 2 also shares the middle zone duty with tank 1. Entire raid will stand on the Middle Zone. That’s where the adds will spawn first. When big and small adds are dead, entire raid jumps down to the right side down to the Lower zone. In Lower zone, Kill big and small adds. When adds are dead on the lower zone, the raid splits into 2 groups, Group 1 and Group 2. Tank not included and have their own tasks. Group 1 will move to middle zone and kill big add. After that, G1 will have to move fast a zone where there is a big add. Help killing small adds when no big add is up but always beware to move fast to a big add. Group 2 will move to top zone and kill small adds. When adds are dead, G2 moves as one and kill adds. AoE, stun and slow the adds. Always focus nuke Fel-Charged Obfuscator when it spawns. 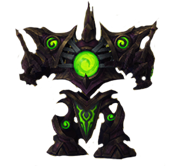 Heroic: Fel Powered Purifier are added in heroic. This is prio to nuke so tank don´t waste time tanking this add. One tank will always handle big add on lower zone. One tank will always handle big add on top zone. Both tanks are backup on mid zone. 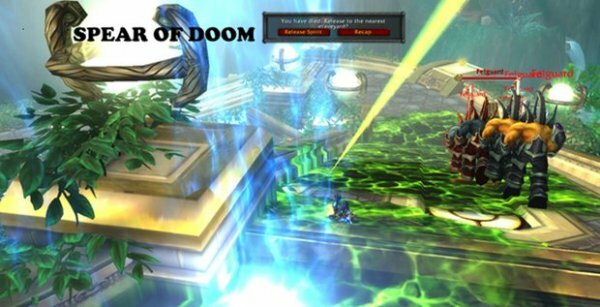 Heroic: The one not tanking any add needs to tank Fel Power Purifier when it spawns. If Eonar dies, it is a wipe. Eonar has one ability, called Life Force. This kills all adds on the platforms and also does 25% damage to the Spaceship (Praxis). Eonar casts Life Force when she reaches 100 energy. When players kill a small add, it gives 3 energy. When players kill a big add, it gives 6 energy. The Praxis spaceship shoots several Felbolts at random players. Healers beware and heal this through. He spaceship shoots down a beam on a random location and draws a line on the ground. Pools are created were the beam hits. Getting hit does high fire damage. Adds gain 30% increased movement speed when running over it. Beware and move away fast. Like always, stun and slow adds. The spaceship targets random players that will have a yellow circle around them. After some seconds the plyers are shot with very high fire damage. Any players within the circle (8 yards) of the targeted players will be hit as well. Targeted players need to move away from other players fast. Adds spawn from the 3 zones (Top, Mid, Lower). These adds do not attack the players. They only run their path to Eonar and attacks her. The destructor attacks players if the players attack it in melee. 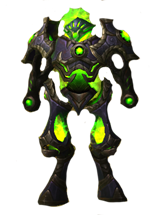 The Purifier attacks players when it reaches Eonar and also does frontal attacks when walking to Eonar. The Obfuscator does not attack players. This add stays at his location when spawned. 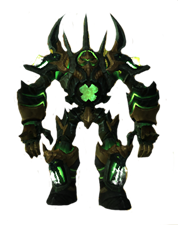 If no one is attacking him in melee combat, he will Shoot Artillery Mode at Eonar. The speed between each cast increases, the longer time I takes before he is attacked in melee range. When attacked in melee range, he uses melee attacks on players, and a special ability called Artillery Strike that is casted on Eonar as well. Artillery strike can be interrupted. These big adds spawn on Lower, Mid and Top Zones. They need to be tanked immediately. Tank 1 will be ready to tank destructor on Lower zone. Both tanks will be ready to tank destructor on Mid Zone. Have a group with 1-2 dps and one healer. Choose dps with good single target damage. Always interrupt the Artillery Strike. The add cloaks nearby adds and makes them invisible (cannot be attacked). You see the invisible adds as shadows and cannot attack them. All dps in Group 2 need to attack this add when it spawns, this one is priority. This add spawns from time to time together with other adds. It removes all crowd-control effects on nearby adds. It grants immunity to nearby adds. When reaching Eonar, it will attack nearby players and has an ability called Swing. Swing does very high fire damage to any player in front of it. Entire raid needs to help out killing this add asap. 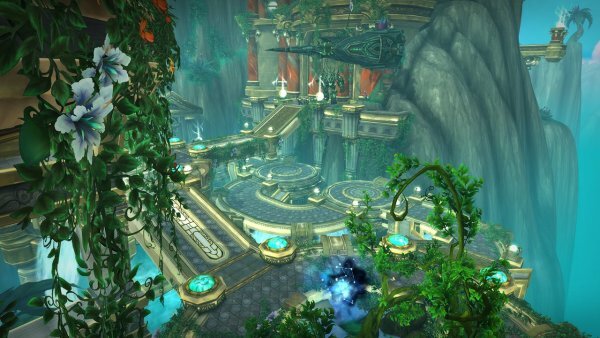 One tank needs to handle it when it reaches Eonar. Face it away from raid. Raid needs to be sure they are not in front of this add.